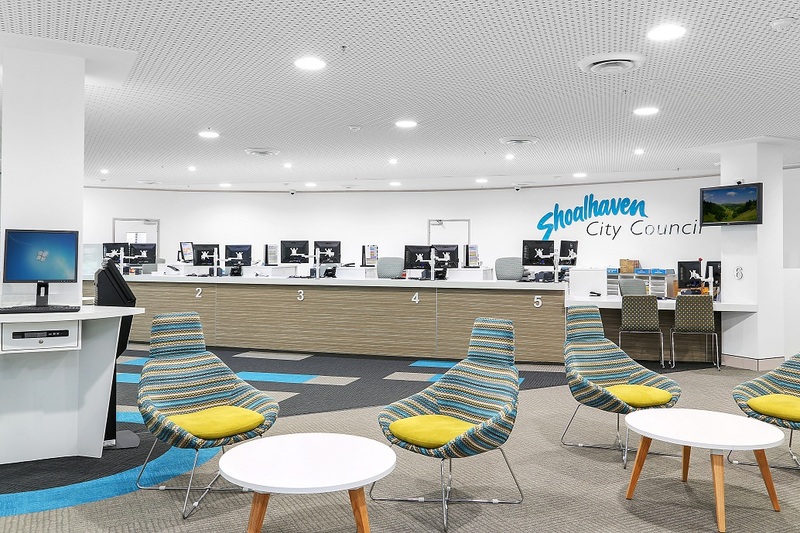 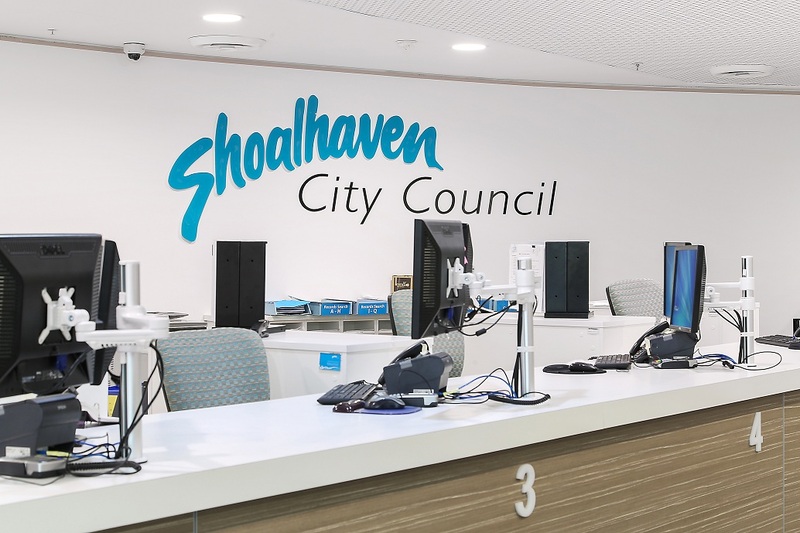 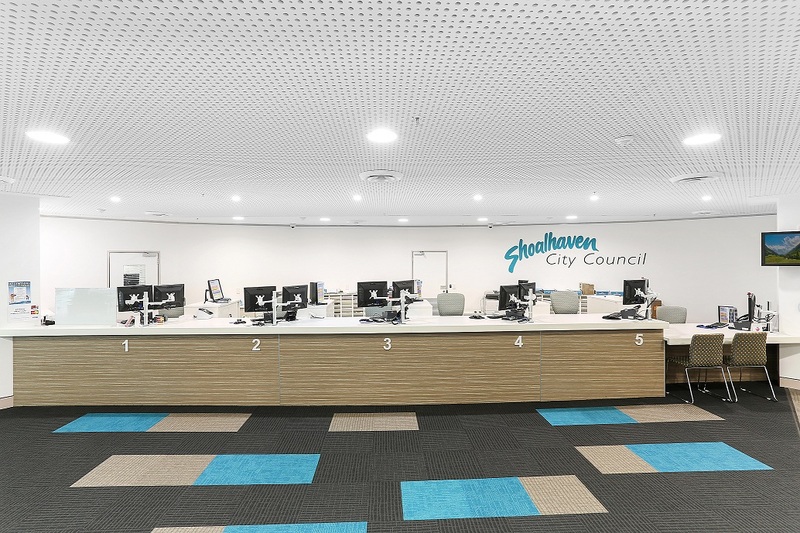 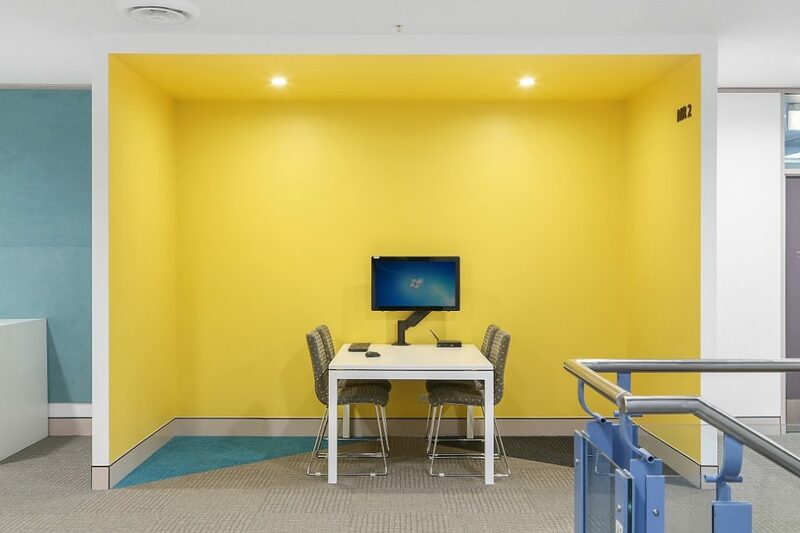 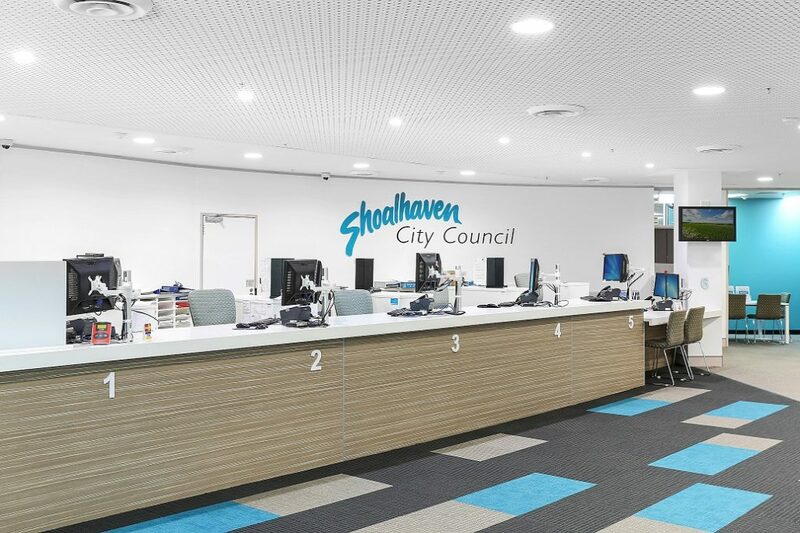 Our firm was engaged to complete the Shoalhaven City Council – Main Foyer fitout. 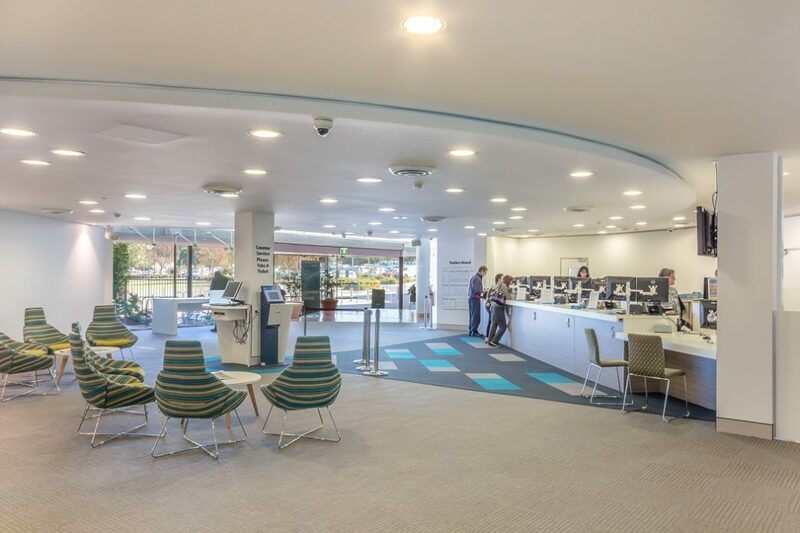 We worked closely with our client to provide the following services: layout, demolition, installation of new services and fixtures, customised joinery and electrical. 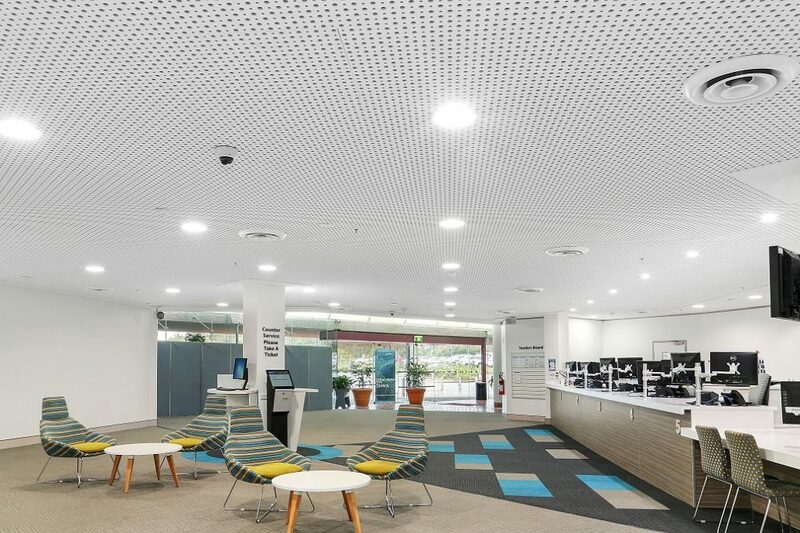 Special features of this project included the installation of new suspended grid ceiling with acoustic ceiling tiles and a C-Bus automated lighting system.